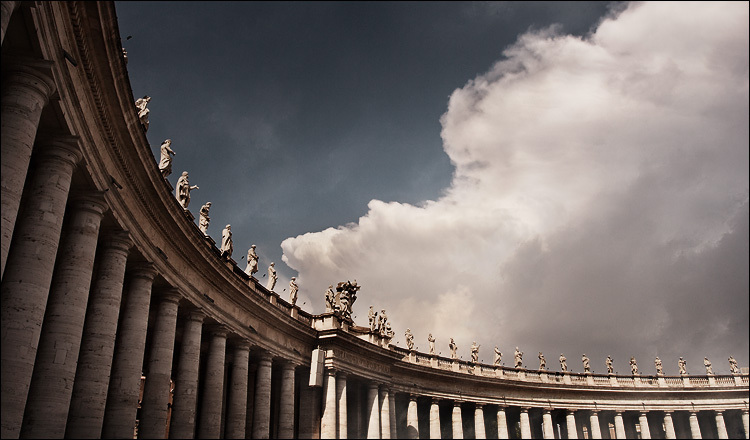 St. Peter's Square in Vatican city, Rome, Italy. I was playing the fantastic new game; God of War 2, and it reminded me that I have some photos from Vatican city that I didn't process. The game's settings is based on Greek Mythology, but the designs are inspired by art from many different eras, including Baroque architecture (like this) which is why I remembered the St.Peter's columns.